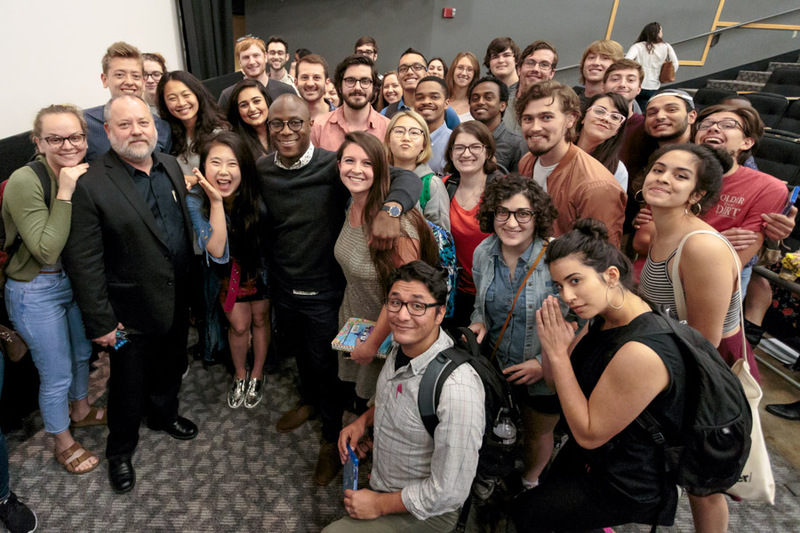 In 2017, Barry Jenkins thrilled students and staff with his visit to Florida State after winning an Oscar for his film "Moonlight." Jenkins is nominated again for an Academy Award at the 91st Oscars this Sunday. Florida State University film school phenom and Academy Award winner Barry Jenkins has earned his third Oscar nomination. Jenkins adapted the screenplay from the 1974 novel of the same name by writer James Baldwin. It’s a love story of despair and hope, as experienced and managed by two African-American families, set in Harlem in the early 1970s. The movie received Oscar nominations in two other categories. Nicholas Britell, who earned a nomination for Best Original Score for “Moonlight,” got another nod in that category for “Beale Street.” Regina King was nominated for Best Supporting Actress. Jenkins won the Oscar for Best Adapted Screenplay two years ago for “Moonlight,” which he also wrote and directed. That film won three Oscars in 2017 including Best Picture. Jenkins (FSU ’03) reunited his crew of FSU friends and College of Motion Picture Arts graduates for “Moonlight.” Jenkins’ college buddy and longtime cinematographer James Laxton (FSU ’03) was back behind the camera; Adele Romanski (FSU ’04) earned a producing credit; and Joi McMillon (FSU ’03) and Nat Sanders (FSU ’02) edited the film.